The interesting thing here is why is the Wall Street Journal talking about bear vs. human clashes??? Forty years after being hunted to near-extinction in many parts of the U.S., black bears have become so plentiful that they are causing trouble for their human neighbors—ripping open camping tents in Colorado, attacking dogs in New Jersey, even breaking into a home in Florida to nab a birthday cake from the kitchen counter. John Flavell/The Independent/Associated Press A black bear took a break from being tracked in Ashland, Ky., May 23, 2011. Black bears, which can top 350 pounds, were hunted with vigor for centuries. But with their populations near collapse, states began imposing hunting limits or bans in the 1970s. Recovery has been slow—bears reproduce just every two to three years—but pronounced. 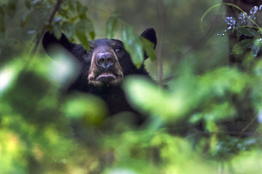 Today there are an estimated 3,000 black bears roaming Florida, up from just 300 in the mid-1970s, said David Telesco, who manages bear conservation in the state. Between 300 and 400 black bears live in Nevada, and biologists say the population is growing 16% a year. “There are now bears in areas of the country where there haven’t been bears since the colonial days,” said Rick Winslow, a carnivore biologist with the New Mexico Department of Game and Fish. J.A. Whittenburg V saw one not long ago—charging toward him on his ranch in south Texas, he said in an interview. His dogs barked furiously. The bear wasn’t intimidated. “He just kept coming my way,” he said. Mr. Whittenburg said he shot the bear three times with a rifle he carries to take down wild pigs. “You just want to shoot ’til the thing quits moving,” he said. Black bears aren’t as menacing as grizzlies, which can top 800 pounds. In recent months, grizzlies have attacked and injured hikers in and around Glacier, Yellowstone and Grand Teton national parks. Two hikers were killed by grizzlies in Yellowstone this summer. 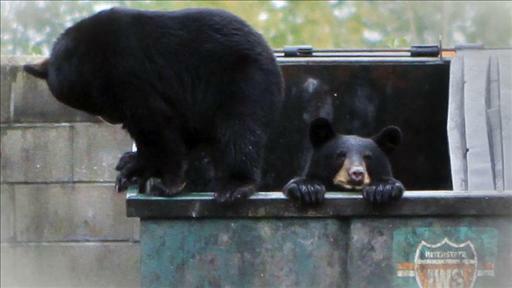 Shy by nature, black bears prefer to stay away from humans. But the drought that has gripped much of the South and Midwest in recent years has made foraging in the woods tough. So the bears, which must consume up to 20,000 calories a day to pack on weight before winter hibernation, are increasingly prowling through towns and suburbs in search of food. In New Jersey, the state Department of Environmental Protection tallied 2,400 bear incidents last year, up from 1,800 in 2009. The reports ranged from a bear strolling through a college campus to home invasion. “Literally, people would go out to get the groceries from their car, leave the screen door open, and come back to find a bear in their home,” said Larry Ragonese, a spokesman for the department. In New Mexico, the Department of Game and Fish has killed more than 230 bears this year that were disturbing people, pets or property, up from 86 last year and 24 the year before. In Nevada, where black bears have taken to raiding garbage bins around Lake Tahoe, the legislature authorized the state’s first-ever bear hunt this year, to the dismay of antihunting activists. “The people in Lake Tahoe look at these bears as members of the community,” said Christine Schwamberger, an attorney who represented the opposition. The hunt wasn’t aimed at the nuisance bears in Tahoe but was authorized because the overall bear population is expanding rapidly, said Chris Healy, a spokesman for the Nevada Department of Wildlife. The decision pleased hunters like Dave Piccinini, who brought down a 350-pounder. Mr. Piccinini sent the hide to a taxidermist to be mounted for display at his sporting goods store in Reno. Determined not to waste the meat, he had it processed. The bear sausage he liked. The bear steaks, not so much.